Phyllis has over thirty years of experience working as a Special Educator and/or School Administrator in a number of public schools, BOCES, private day, and residential programs. Phyllis joined Center for Spectrum Services team in 1984, and within one year was asked to be the Program Coordinator at our Kingston School. In this vital role, Phyllis oversees the day-to-day operations, decision-making, and management of the educational aspects of the school. Phyllis is responsible for ensuring our Kingston school runs smoothly, remains safe, and provides an excellent learning environment for our students with Autism Spectrum Disorders. Phyllis oversees all of our Special Educators and teaching staff, and is an active member of our leadership team. Phyllis received her BS from State University College at Buffalo, and her MS from SUNY New Paltz. She’s also the recipient of the prestigious Exemplary Service to Individuals with Special Needs Award, given by the Council for Exceptional Children. 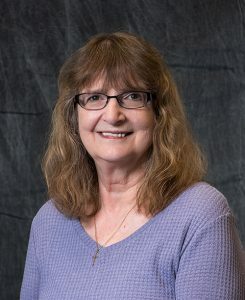 Enjoying sharing her knowledge and expertise with others, Phyllis has been a member of the New York State Alternate Assessment Task Force, and serves as an Alternate Assessment trainer for Ulster County BOCES. She has taught numerous workshops focusing on best educational practices for Autism Spectrum Disorders to our staff, as well as staff and students at SUNY New Paltz, and the educational professionals throughout the community.